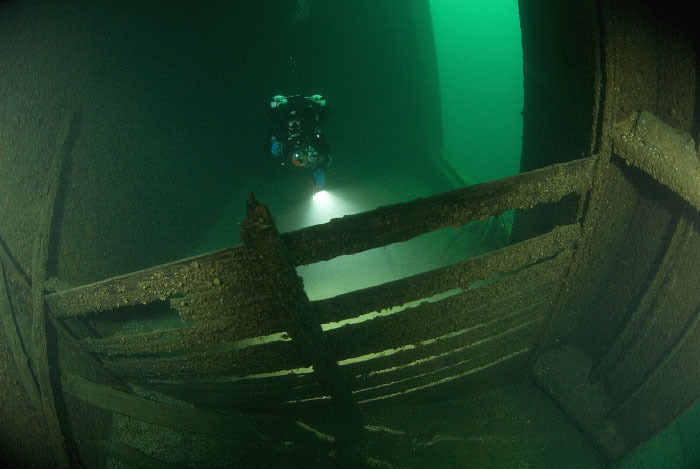 Keystom is the crown jewel of Brockville/Rockport diving. 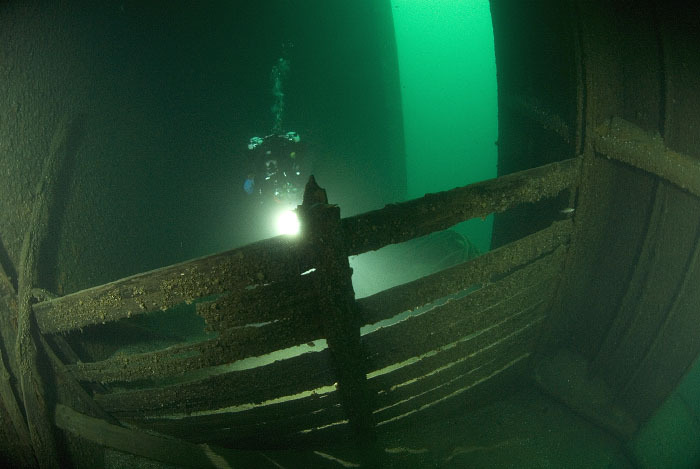 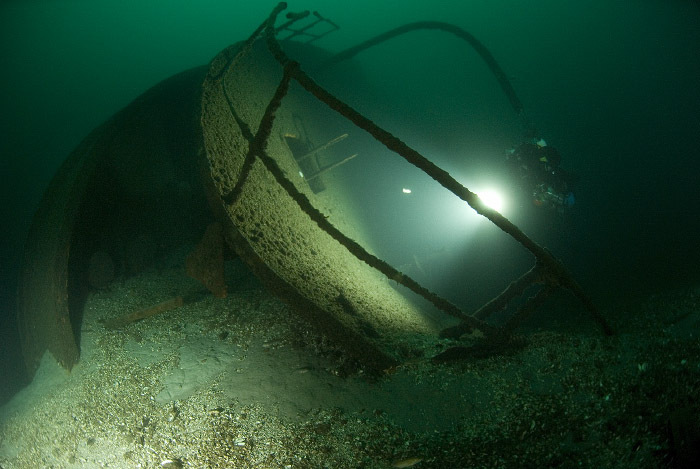 Located a short boat ride away from either Brockville or Rockport, this 256 ft long steel freighter is a must dive wreck in the area. 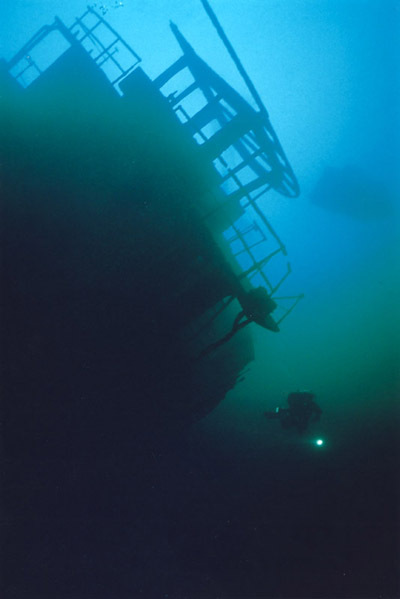 Due to its location and depth (20 to 120ft), it is accessible to all levels of divers. 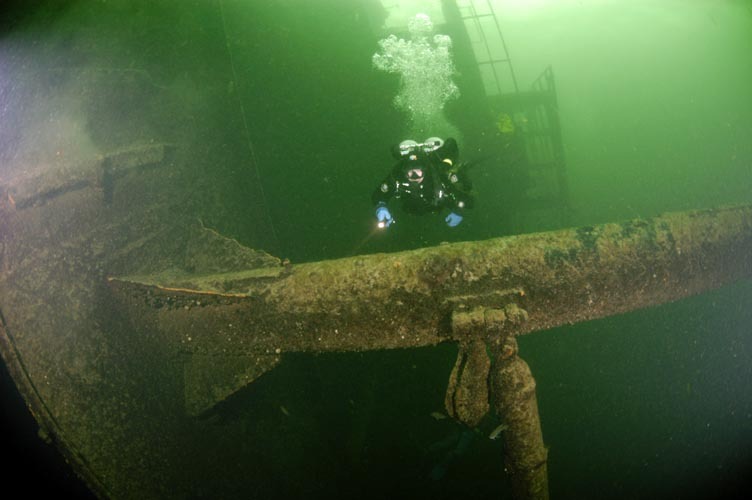 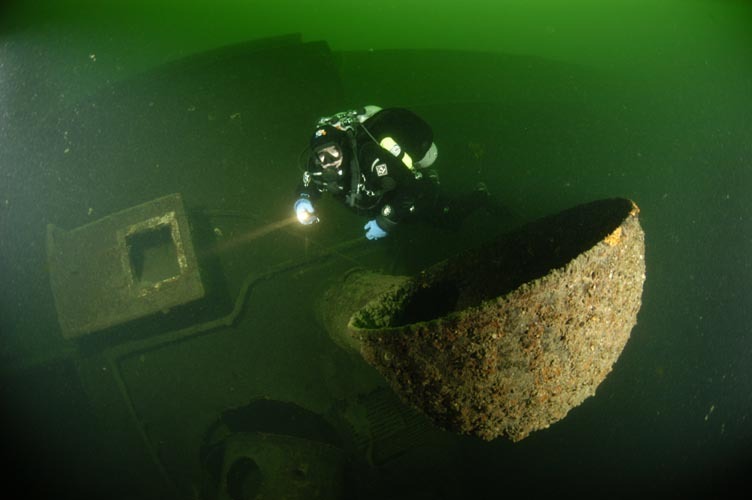 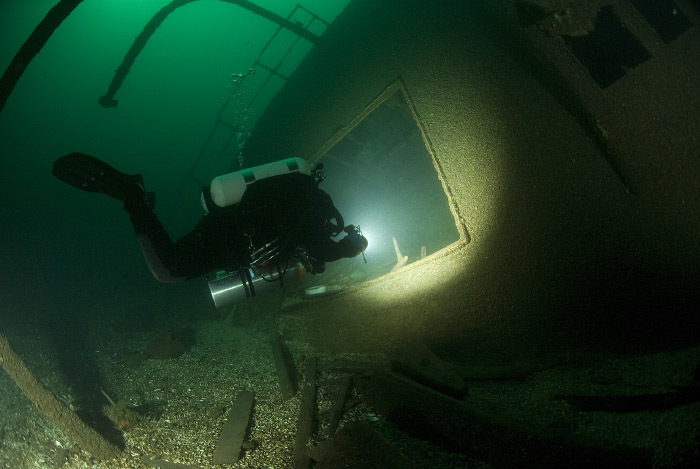 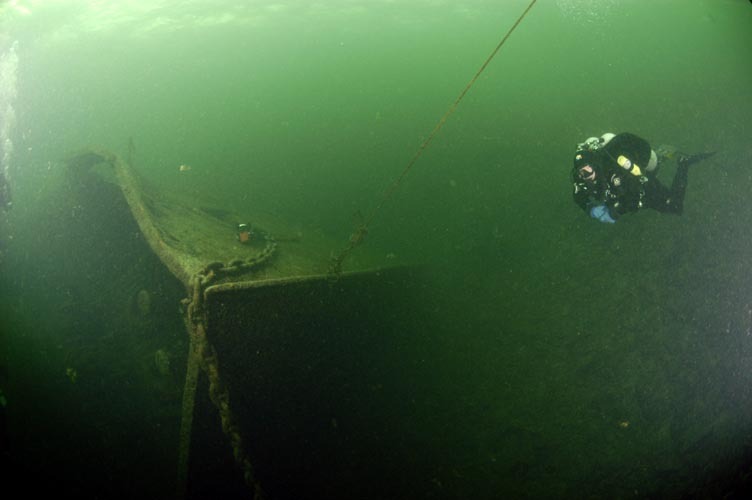 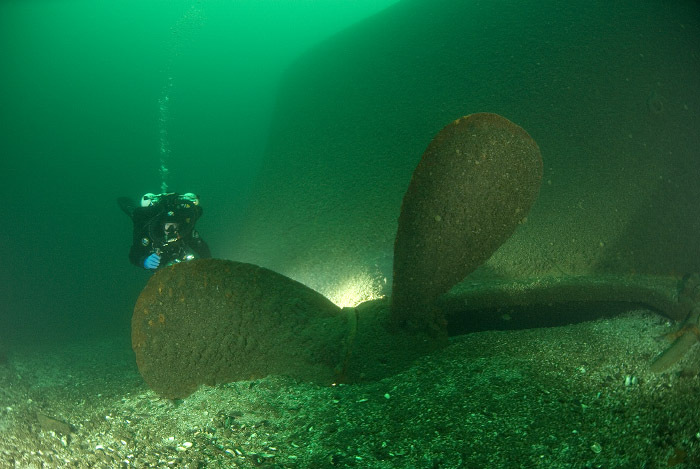 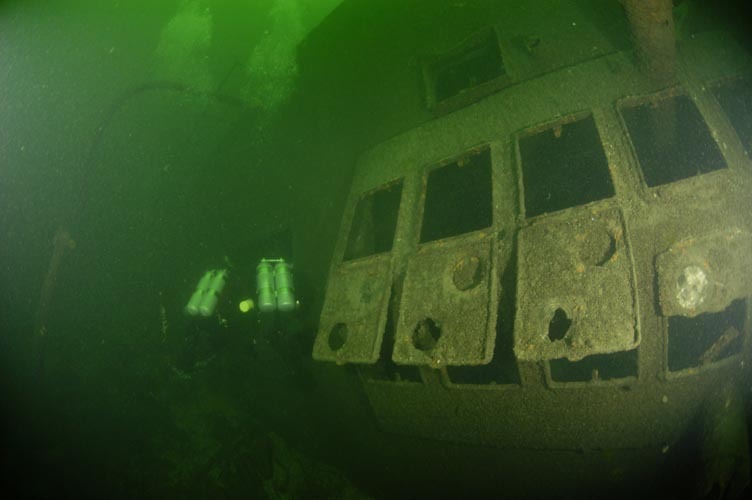 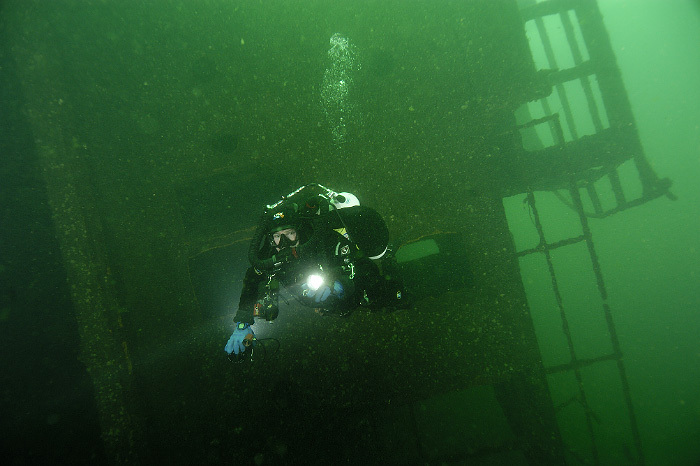 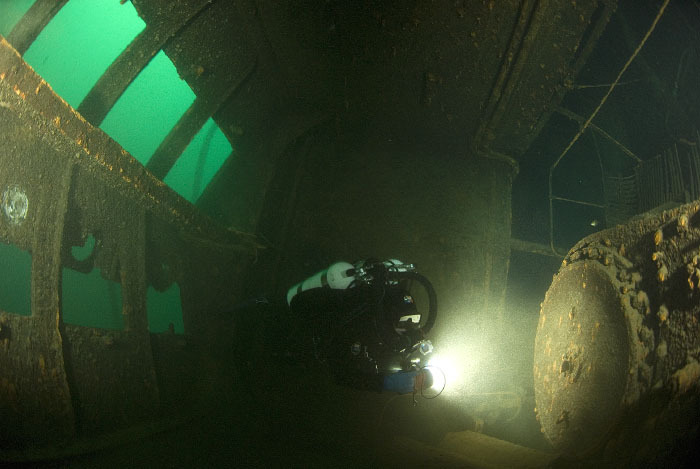 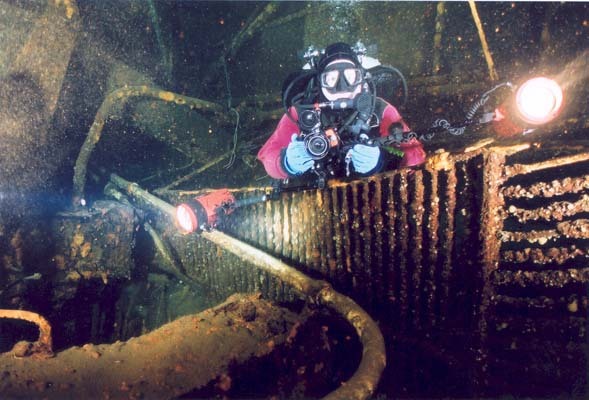 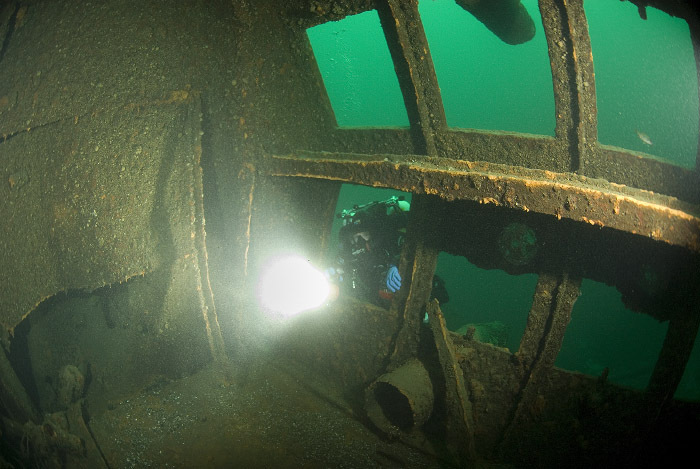 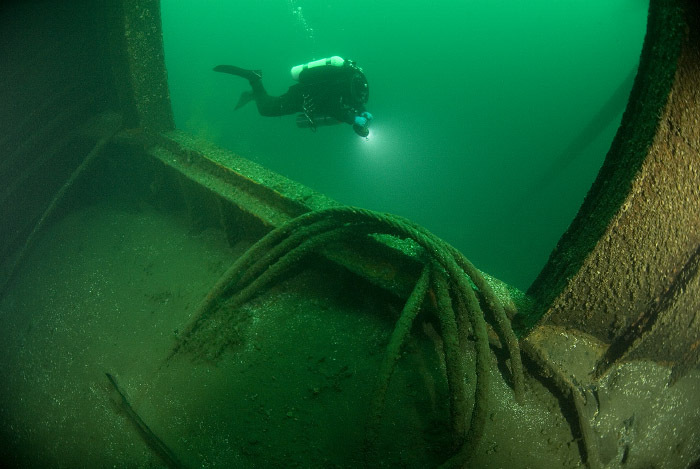 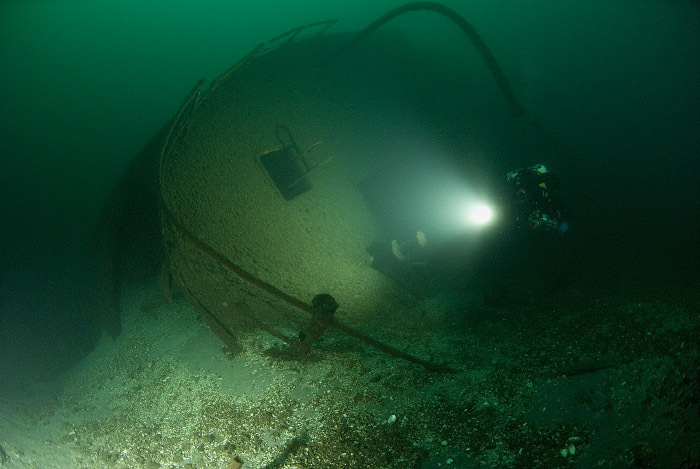 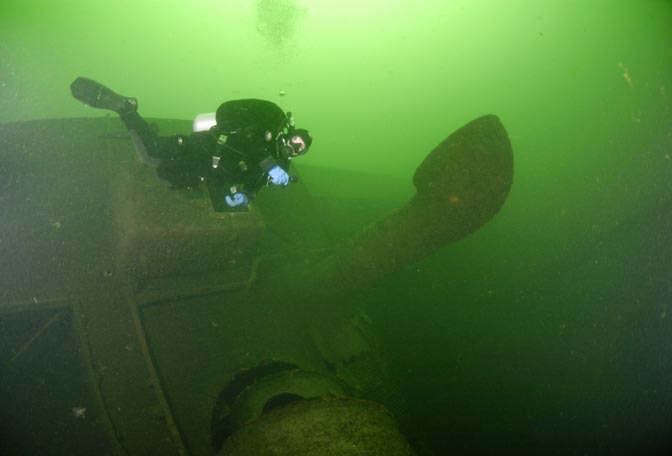 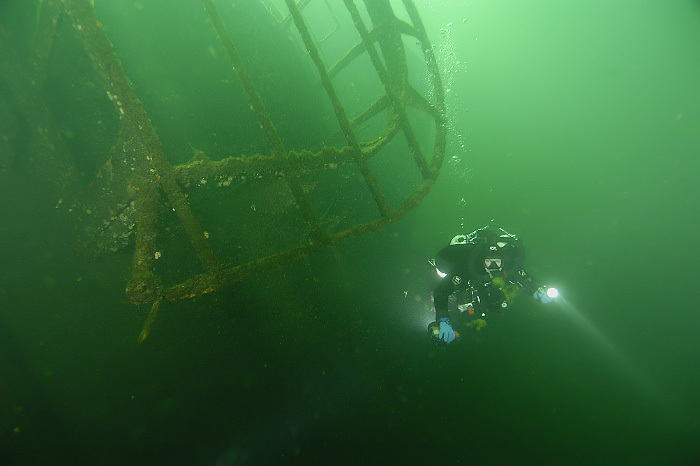 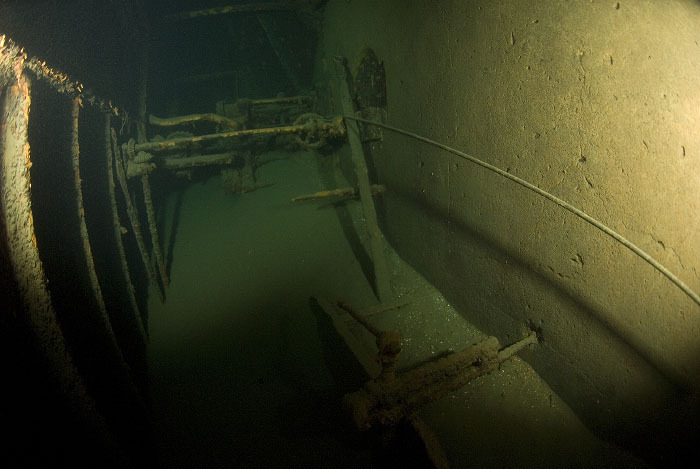 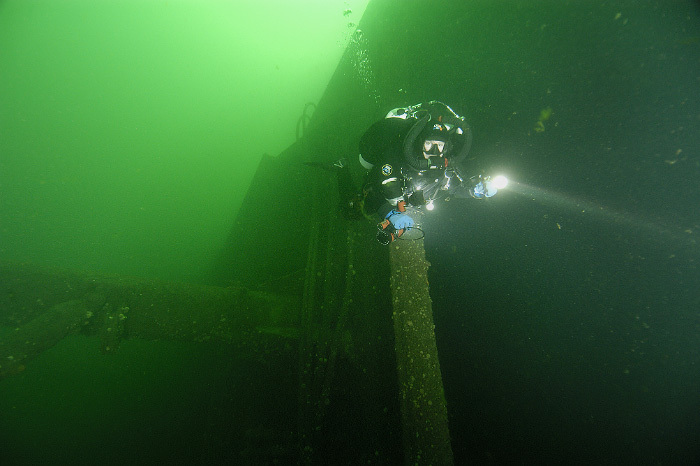 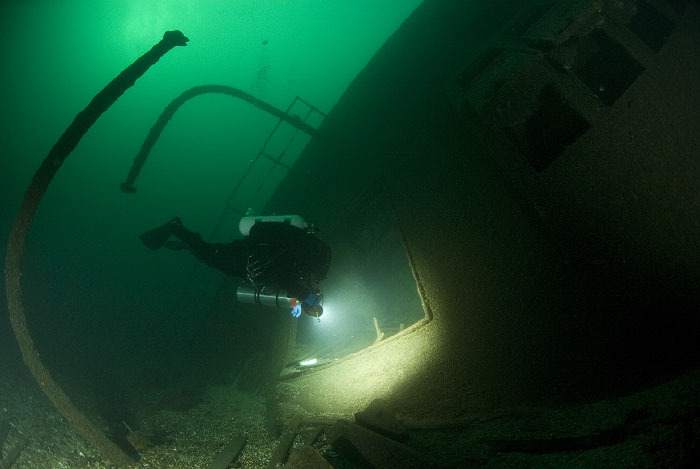 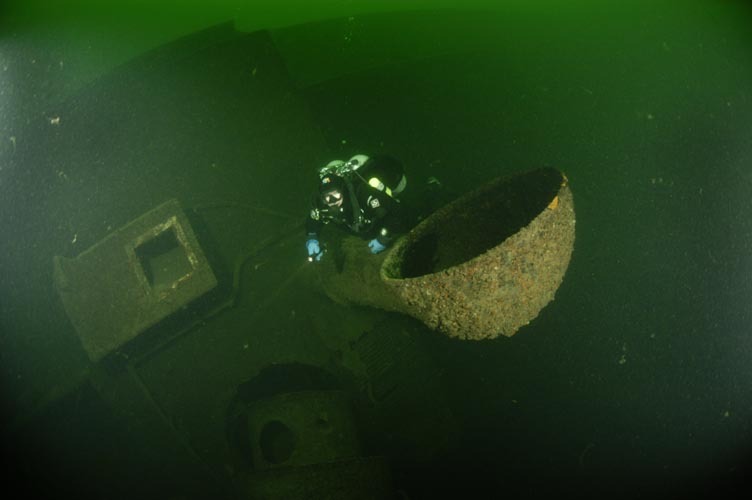 Beginners can stay in the bow area, while experienced divers can explore the stern and engine room. 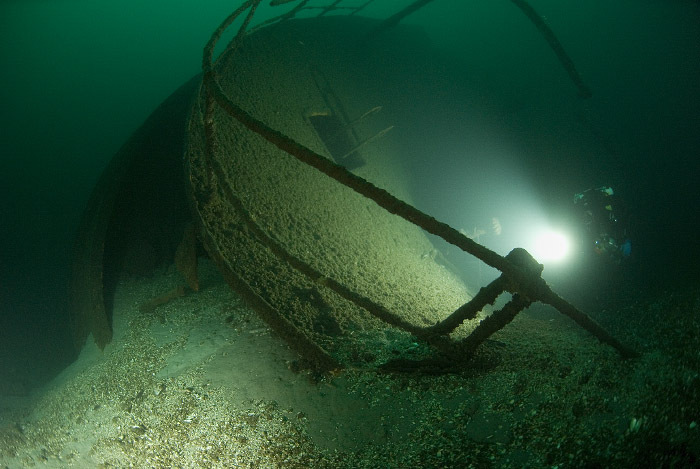 The wreck is on the starboard side. 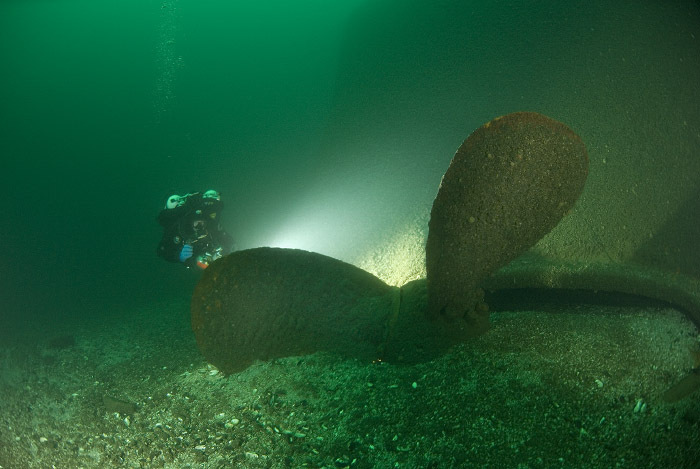 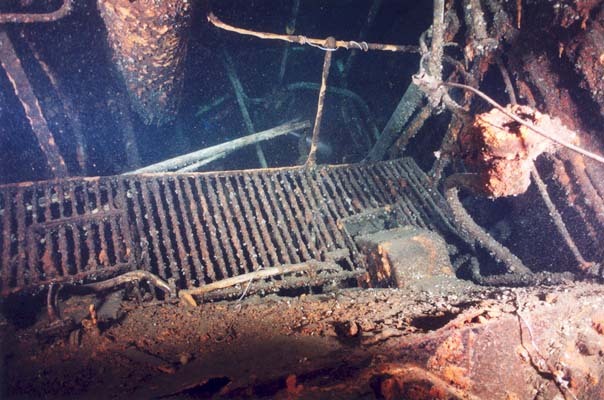 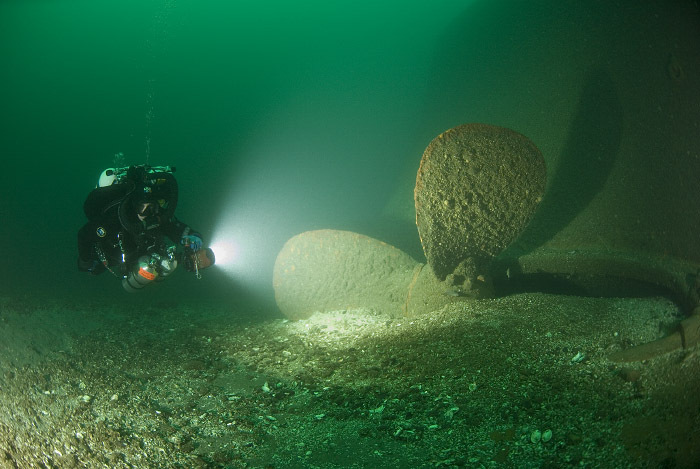 Highlights are too numerous to list, and include huge prop; engine room; superstructure, pilothouse, masts still standing (or rather they would be still standing if the wreck was upright); and anchor chain on the bow among other things. 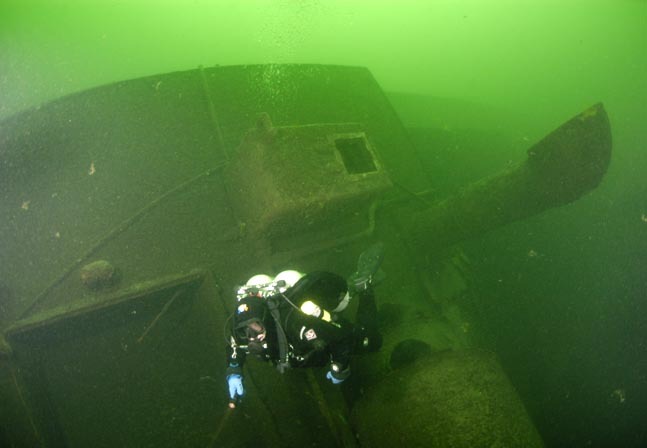 Hazards include current - varies from non-existent to quite robust; temperature in the 30-40F range in the early spring/late fall and the ever present silt and zebra mussels. 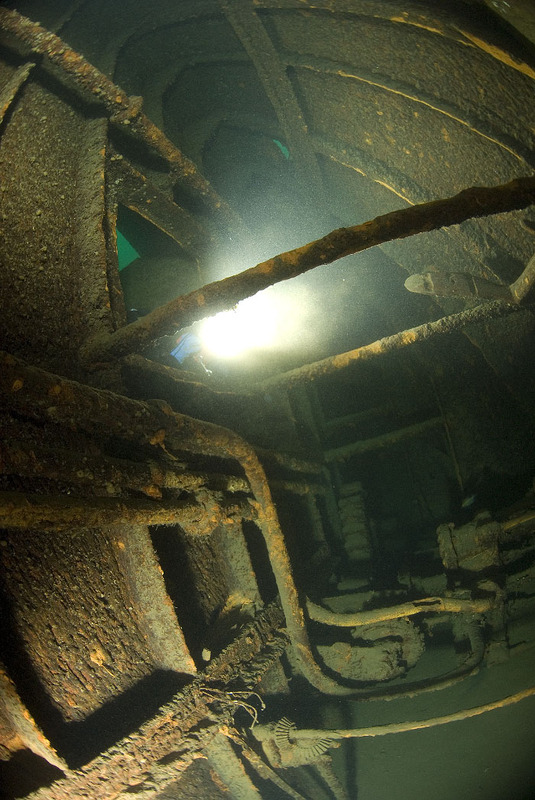 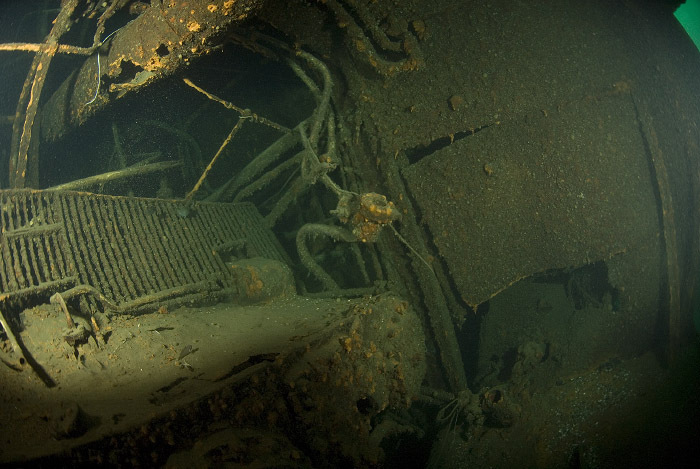 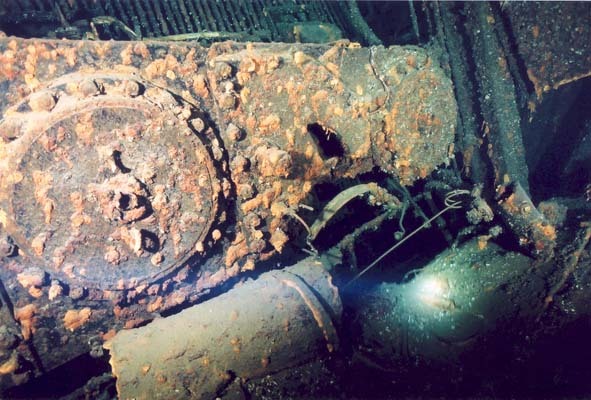 Due to the angle of the wreck, the engine room could be very disorienting. 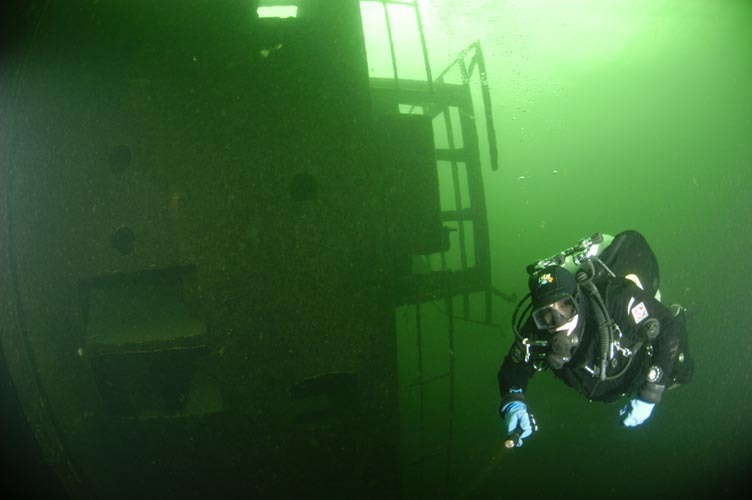 Visibility and the color of water changes with the seasons wiht the best vis usually in late fall.